The story was repeated as the Indian performance in Athletics refused to touch a respectable position. Anju Boby George still remains the only Indian name to remember in the history World Athletics Championships that started since 1983 as 15 Indian athletes not only remained without medal but also without even impressing and showing any promise for future medals. The only medal that India has achieved in 14 World Championship was due to Anju Boby George. She won the Bronze medal jumping 6.70 m in Long Jump at the 2003 World Championships. 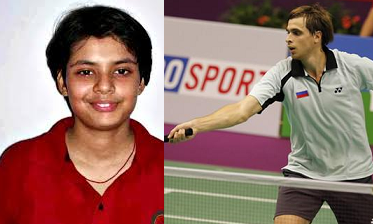 She was rewarded with Khel Ratna in 2003-04 and before that with Arjuna Award in 2002. In the current 14th World Athletics Championshop 15 Indians participated and except Vikas Gowda, none could even qualify for next round. Vikas Gowda qualified for the Final 12 position, but like his 2011 performance again remained at 7th position with 64.03 as his best throw. 1. Discus Throw – Vikas Gowda finished 7th. 2. Triple Jump – Renjith Maheswary did not advance beyond Preliminaries where she jumped 16.63 to finish at 13th position. 3. Women’s 20 kilometres walk – Kushbir Kaur clocked 1:34:28 to finish 39th. 4. 4 × 400 m relay – Tintu Luka, Nirmala, Anu Mariam Jose, MR Poovamma failed to qualify for final taking 3:38:81 minutes to finish 15th. 7. Men’s 50 km walk – Basanta Bahadur Rana finished 33rd clocking 3:58:20, while Sandeep Kumar was disqualified.